PEVA insulation. Open main compartment with Velcro flap closure. Open front pocket. 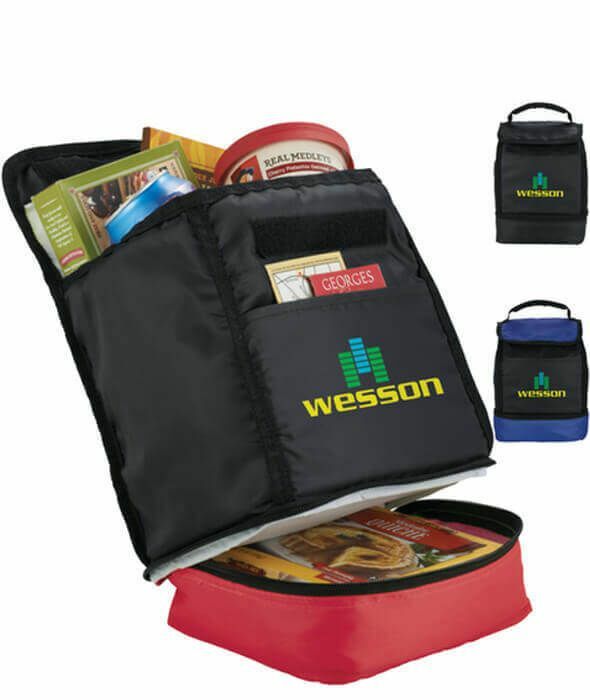 Zippered bottom compartment allows for separation of items. Padded webbed carry handle.